As the tentative release date approaches we’ve got some more glorious, spoiler-y tidbits on the upcoming “X-Men : Forever” campaign box due in May. Thanks to Jourdo & Son of L over at “DM-North” for the catch and letting us all know of the new piccies on the solicitations information. (There’s only 2 of those guys, right?) You can find the original post from the Colonials HERE. I’ve had a look over today and taken a look for any stand-outs that my gut is telling me I fancy a go with (in addition to any I mentioned HERE of course) As always; this is my gut instinct, “first look” feel, so please do let me know if you’ve any thoughts in the comments below. Try saying that subtitle after a few jars down the local! 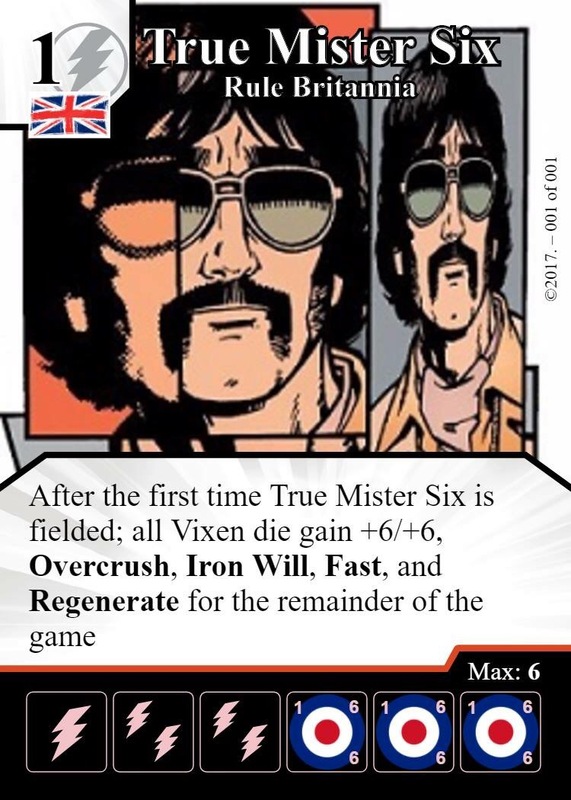 As a long standing fan of X-Men teams at Single Affiliation events down my FLGS this card leapt out at me immediately. The ability to get to those lovely game-texts on all those high cost X-Men is too good to ignore. This certainly appeals to my all-time fave X-Men team build centred around ‘Colossus – Piotr Rasputin’ (I love it so much I even took it to the 2017 UK Nationals… foolishly. Take a look at the run down HERE.) No more fannying about to ramp up to a 7 cost, I can get to that damage super-fast and get on with other things. Or what about ‘Jean Grey – Professor’s Protege’? I’ve always been a control guy and have forever wanted to make this card work, but found the 6 cost and crazy fielding costs too slow and crippling to me to do any good. Now – just gotta drop a Hope on it. My dreams of a wholly prohibitive lock down become more realistic & cost efficient. That’s in the existing card pool too, but what other gems might there be in the box & team packs to combo with this we’ve yet to see? The mind boggles with excitement. I’ve also got to say – as an X-Men comic book nerd, I love the thematic elements to this game-text, it almost exactly reflects Hope’s mutant ability perfectly. This guy is the full on “eye-catcher” of the batch – I know lots of folk gonna be excited about this dude. Why is he such an eye-catcher? Because he’s essentially a do-over for a popular game-text from the ‘Avengers Vs X-Men’ days: ‘Nova – The Human Rocket’. This time around though we have functionally the same card at a reduced cost. At a 5 purchase cost and with 1 fielding cost across the board ‘Iceman’ has more potential to get out doing damage faster than ‘Nova’ used to. Combo with ‘Magic Missile’ global, an Attune character, or ‘Black Widow’ force attack global for maximum shenanigans. Jubilee is back with a new contender for the 2 cost slot on… well… A LOT of teams. Can you decide which one? It seems so innocuous, but ask anyone who’s played around with the ‘Jubilee – Mallrat’/’Professor X – No More, Magnus!’ Combo; those early doors pings quickly start to catch up reeeeeeal quick. She’s a bit more niche than her Super Rare Sidekick driven counter-part from ‘X-Men: First Class’, but I think I’ll be giving her a go. There we go folks – my picks from the first look at the new spoilers. You nailed the stuff that caught my eye as well. Hope feels like the stand out right now. So many shenanigans to be had with her. Looking forward to this one.